**NEW** The 3000 Series is now 3 hour fire rated and it's the hottest thing on the market. Same small 1" backset you're used to, fits in all the same hard to install places, but now it matches whatever fire rating your installation might need. Available in two options. The small 3000 series strikes pack a powerful punch. A BHMA Grade 1 Mechanism with up to 1,500 lbs of holding force. 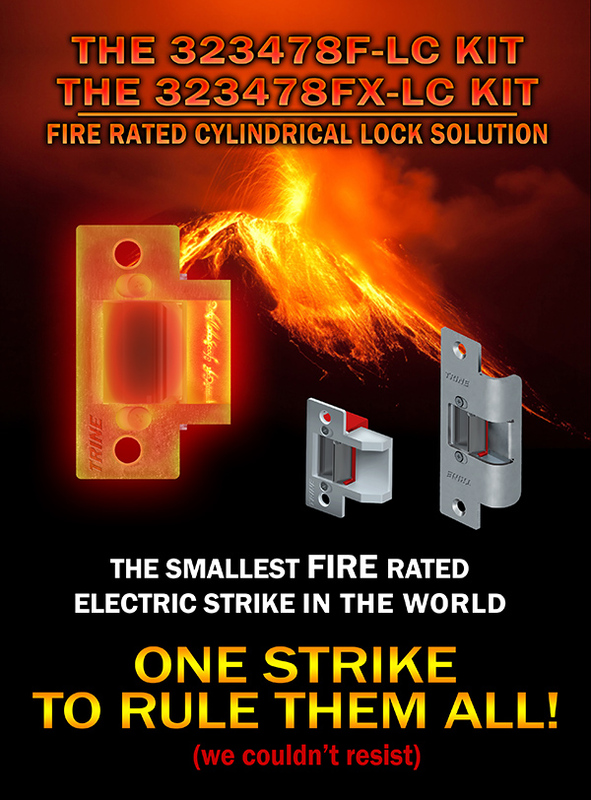 This is the most powerful strike you can get, a BHMA Grade 1 electric strike with just a 1" total backset installation could not be easier. Consider installing the smallest electric strike series in the world in any tight installation. Any doorfront glass and aluminum situation, or when frame material is extremely difficult to cut, such as concrete filled steel.